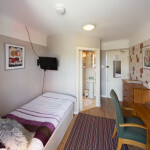 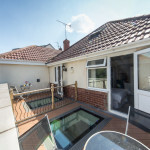 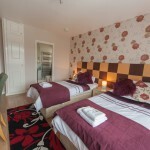 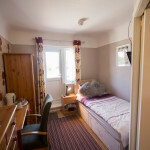 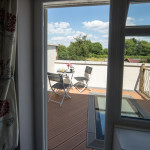 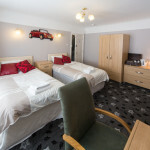 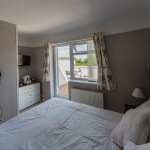 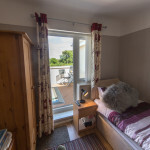 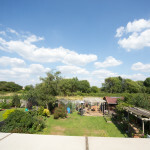 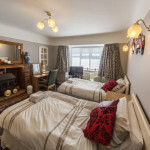 The family/quad room is designed to sleep up to four people, and features one superking double bed and two singles or could be arranged as four singles. 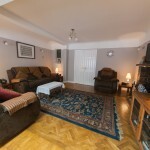 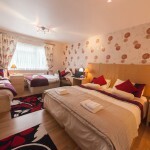 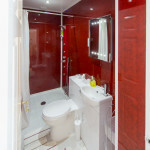 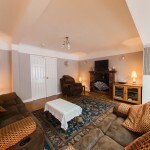 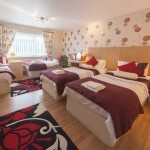 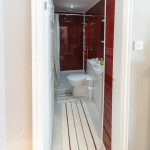 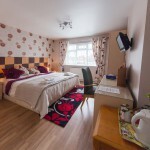 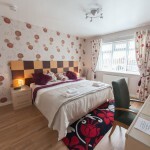 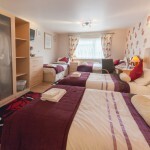 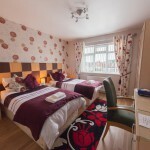 This room can be set up for four adults or a combination of adults and children which is perfect for families. 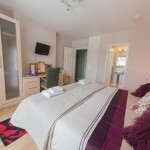 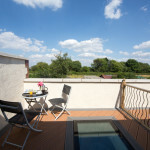 We also have a cot available on request too. 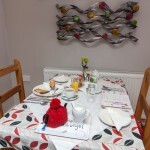 Breakfast can be booked and paid for on arrival and is £8.50 per adult and £5.50 per child under 12 yrs . 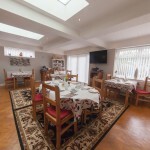 Children under 5 yrs eat free. 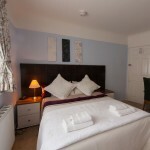 Latest check in is 9pm unless by prior arrangement.